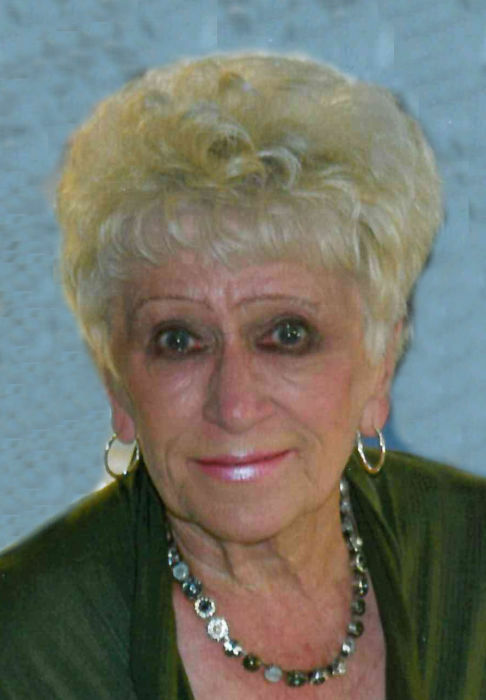 Patricia "Pat" Connely, nee Larson, age 80 of Belleville, IL, born on November 30, 1938 in East St. Louis, IL and died very suddenly on Monday, December 3, 2018 in Belleville, IL. Pat was a homemaker, a "skilled" Keno player and most importantly - the best Mom and Nanie anyone could ever be blessed with. She was preceded in death by her husband, Sam Connely; her son, Craig Connely; her parents, Herbert Larson and Hilda, nee Hauser, Coulson; and her sister Clara Coulson. Pat is survived by her children: Jodi (Steve) Merkle and Chris (Beth) Connely; her grandchildren, Zach (Cait) Merkle, Allison (Brian) Nelke, Hannah Connely, Ty (Kelly L) Merkle, Emma Connely and John Connely; 3 great grandchildren, Elle, Caroline and Joey; her brother, Wes (Laura) Coulson and her special love and partner in crime and laughter, James T. Traiteur, Sr. She was our beloved aunt, cousin, neighbor and very dear friend to many. She would have been pleased to know she was an organ donor... we are proud of her generosity. Memorials are preferred to the Holy Family Catholic Church Building Fund. Visitation will be held on Friday, December 7, 2018 from 4:00 pm to 8:00 pm at Kassly Mortuary, Ltd., Fairview Heights, IL. A brief visitation will also be held on Saturday, December 8, 2018 from 1:00 PM to 1:30 pm at Holy Family Catholic Church, Cahokia, IL. A Funeral Mass of Farewell will be held on Saturday, December 8, 2018 at 1:30 pm at Holy Family Catholic Church, Cahokia, IL with Fr. Linus Umoren officiating.